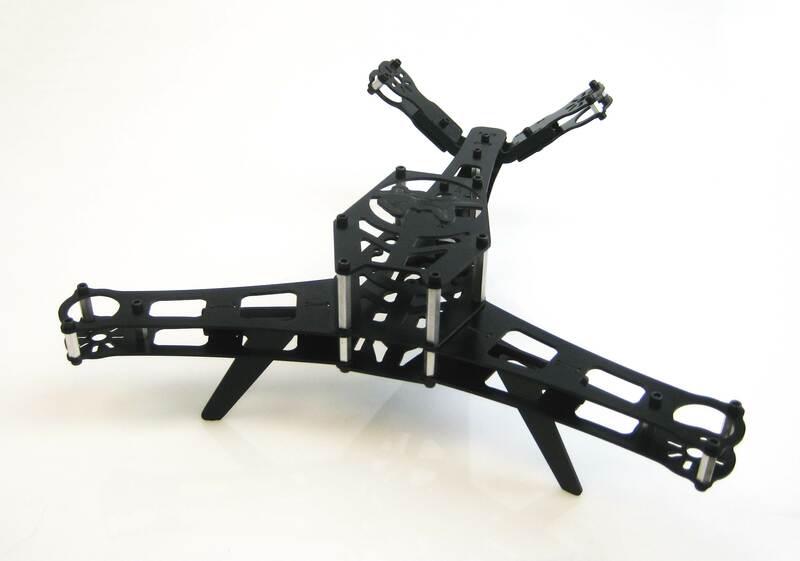 The Mini-VTail is a high performance mini size quadcopter. Unlike other 'x' (where the front of the UAV is facing between two legs) or '+' (where the front is facing one of the legs) quadcopters and Y-shaped tricopters, the VTail concept uses two angled rear propellers, merging both concepts. 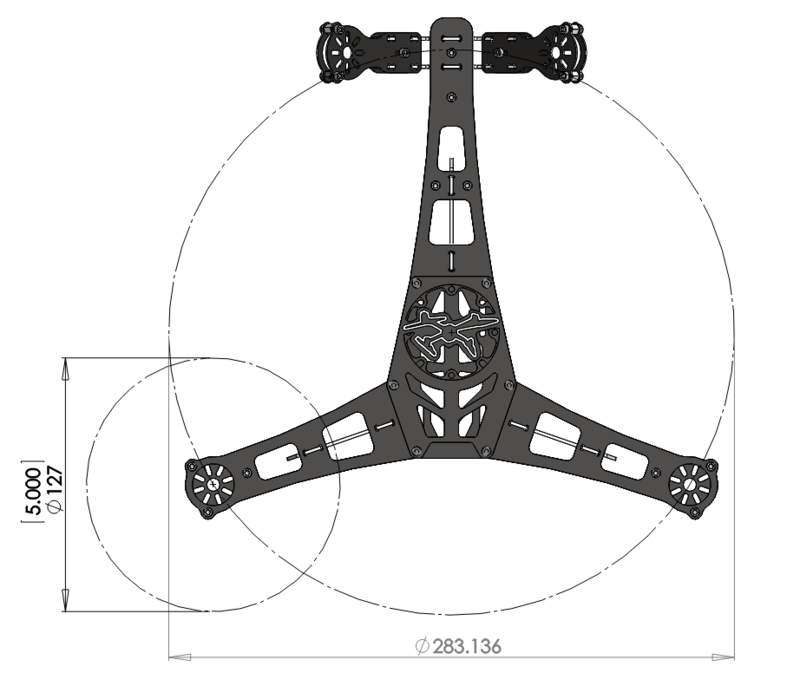 Many tricopter designs use a servo to angle the rear propeller to Yaw (rotate horizontally) the aircraft clockwise / counter-clockwise, and have an issue with asymmetry (only two propellers can counter-rotate while the third causes a bit of rotation). A 6-rotor tricopter solves the symmetry issue, but is more expensive as it requires three additional motors and ESCs. The Mini-Vtail is Lynxmotion's smallest VTail frame measuring about 283mm motor to motor. This measurement is the diameter of the circle (in centimeters) which passes through all four motors and is commonly used as a size reference for multi-rotor UAVs. The VTail design requires a controller which is VTail compatible. The controller's function is to stabilize the aircraft using onboard sensors (usually a multi-axis gyroscope and/or accelerometer). In addition to the main controller, each motor needs an electronic speed controller (ECS) ideally designed for the very fast response time needed by performance multi-rotor aircraft.